DN500 (80Efficiency) has up to 80% electrical efficiency enabling lower heat generation and lower operating cost. It is designed with less than 0.5w of consumption during off-mode, which meet the standard of ErP (Effective Radiated Power). Outstanding and stable performance makes it one of the ideal choices for multi-purpose usage.Double layer EMI filters protect from magnetic interference and restrains noise while operating. 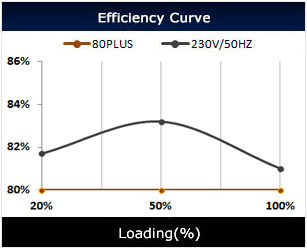 80% electrical efficiency enabling lower heat generation and lower operating cost. 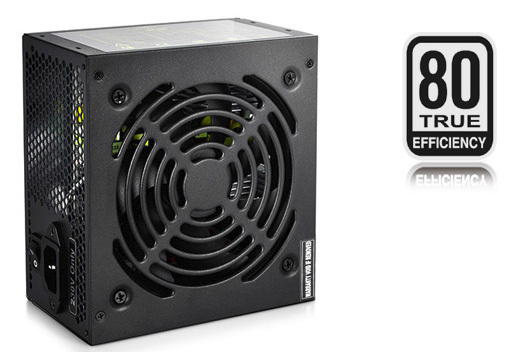 120mm silent fan with temperature control function to provide incredible performance-noise ratio. 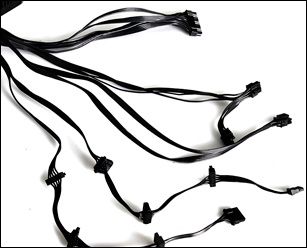 The longer black flat cable design supports cable management perfectly.